Tanner Easterla's signature Nemesis frame is built to last and take a serious beating. 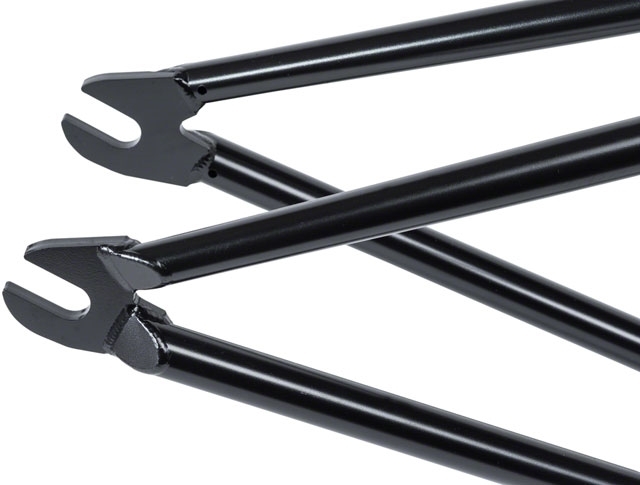 This fully heat treated chromo frame features super thick 6mm thick CNC machined dropouts and a shorter 13.5" chainstay and steeper 75.25 degree headtube angle, giving you a more responsive feel. 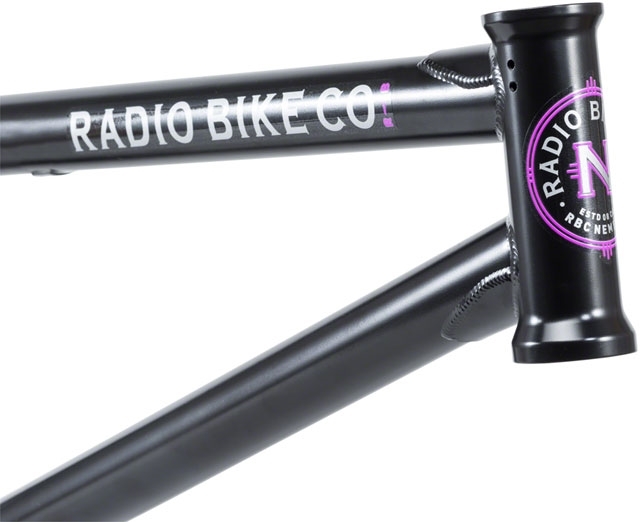 The Nemesis uses straight guage tubing for extra dent ressistance, and a taller 125mm headtube to eliminate the need for spacers under your stem. 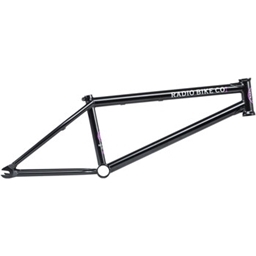 Radio Nemesis Tanner Easterla Signature Frame 21" Black E.D.